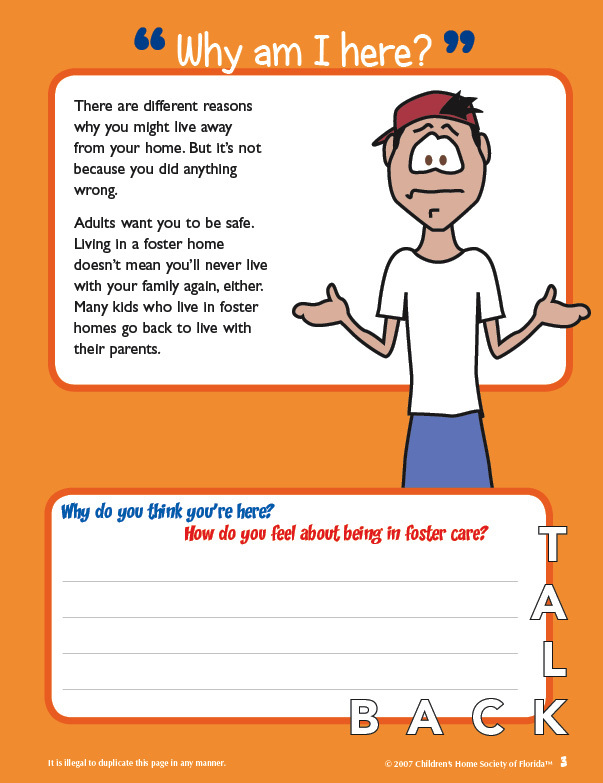 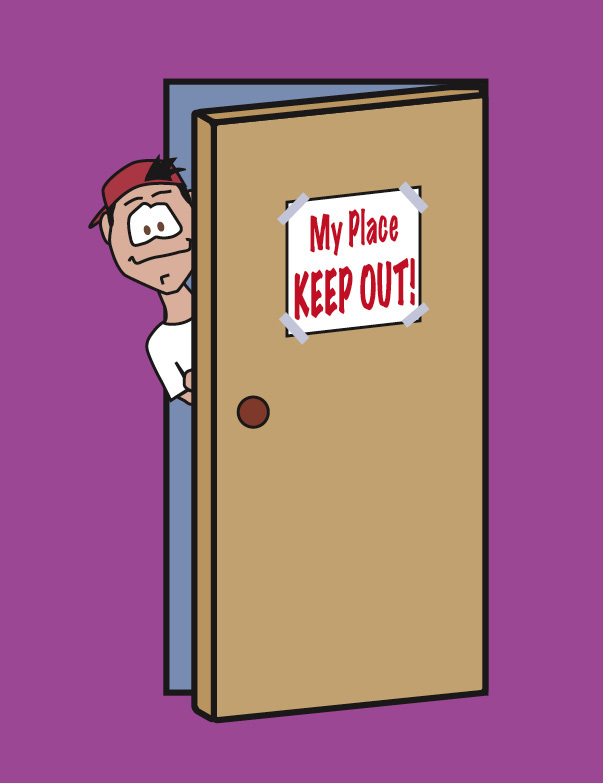 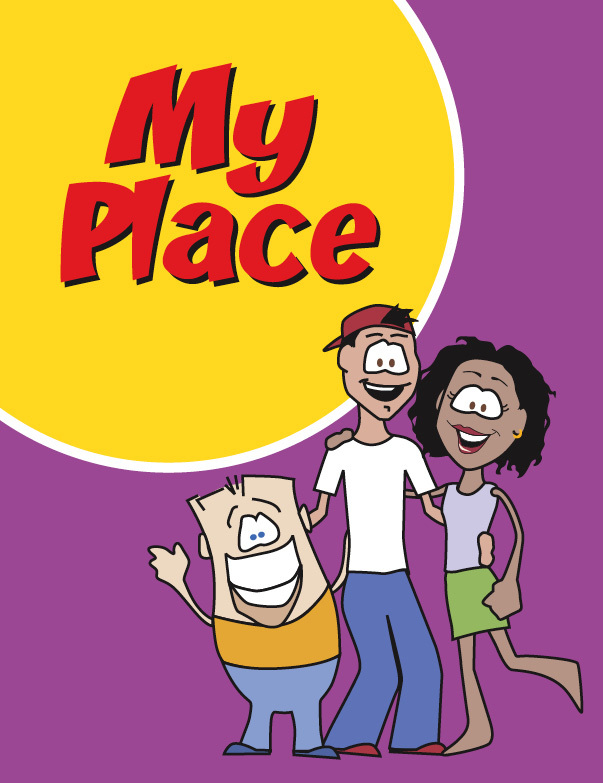 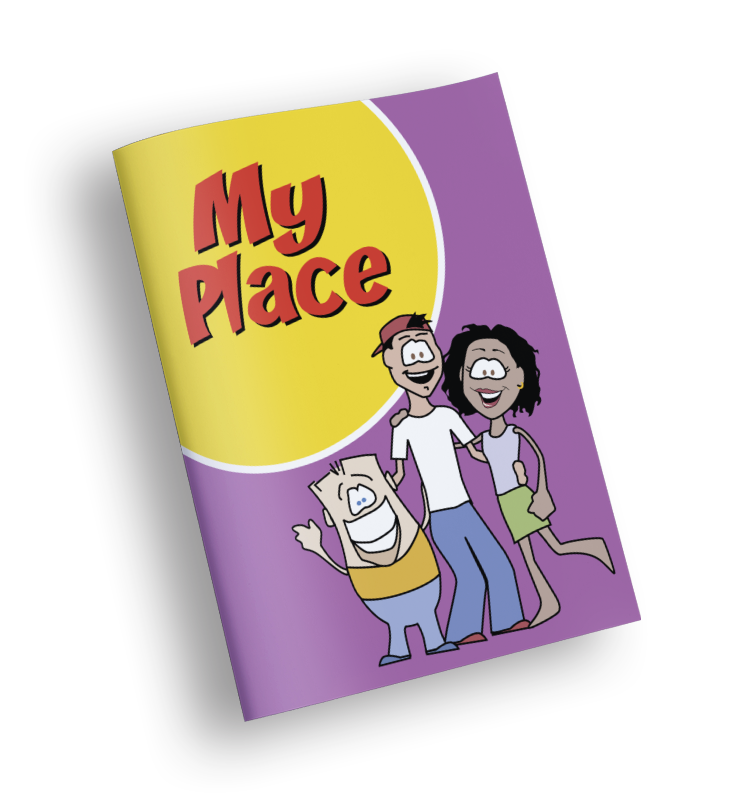 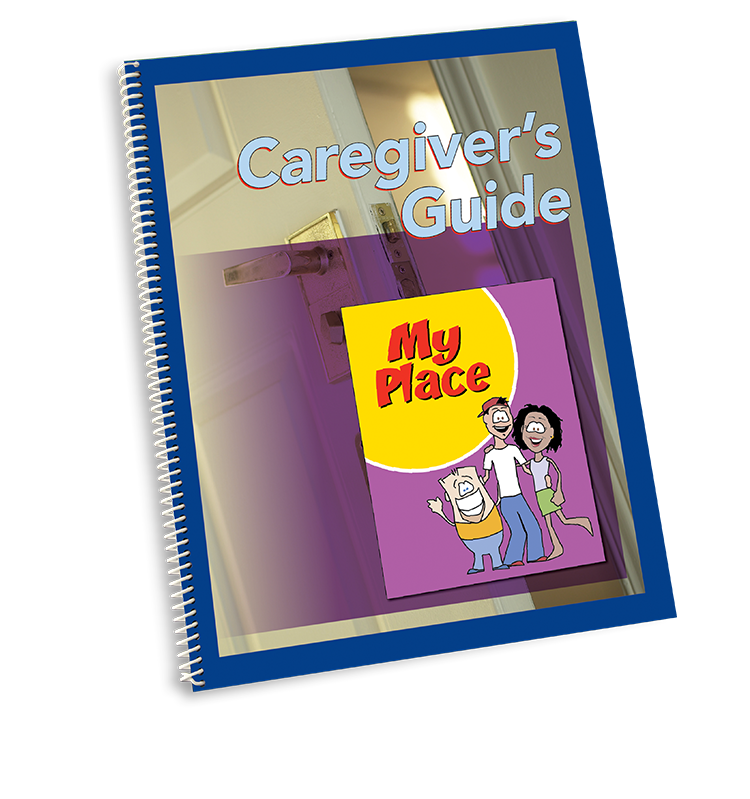 My Place focuses on helping preteens understand why they're in foster care. 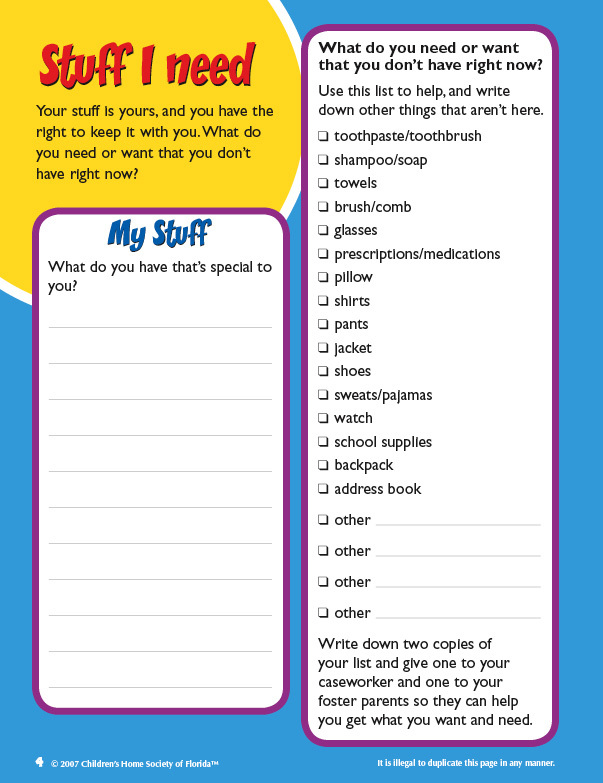 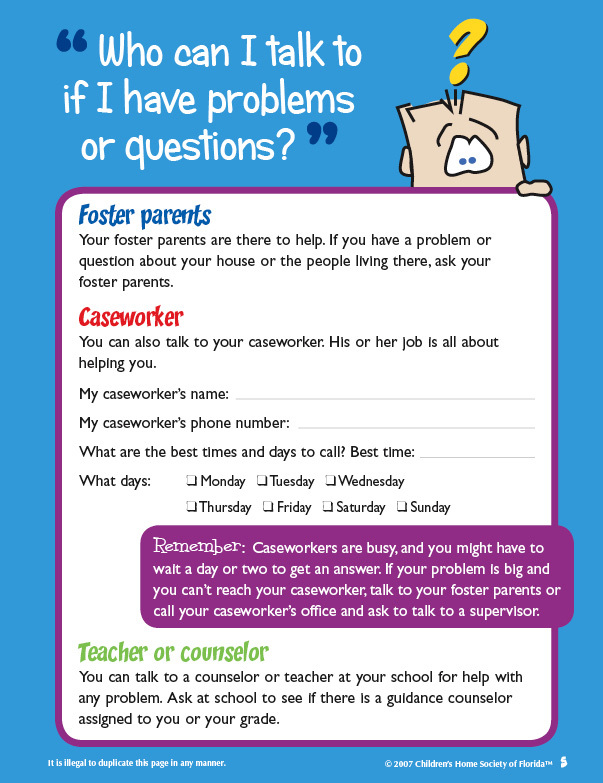 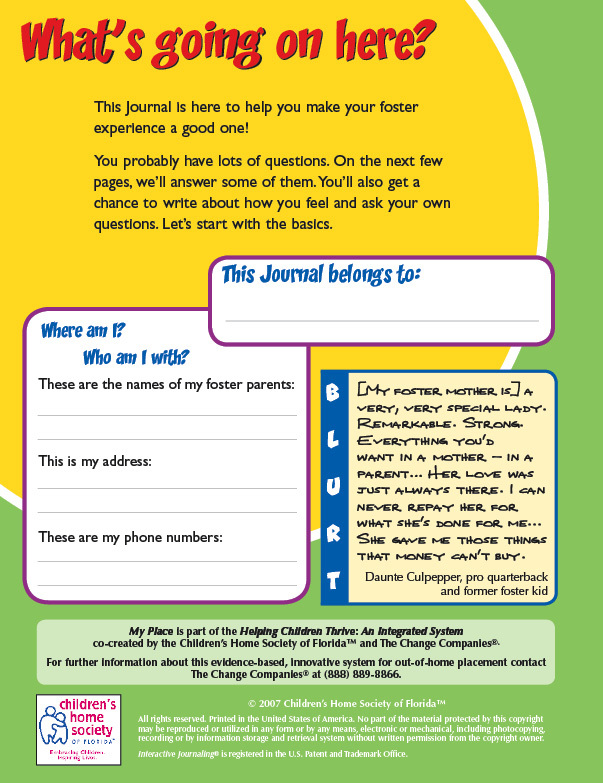 Questions about their rights, seeing their parents and siblings, personal belongings, going to school and getting to know their foster families are explored. 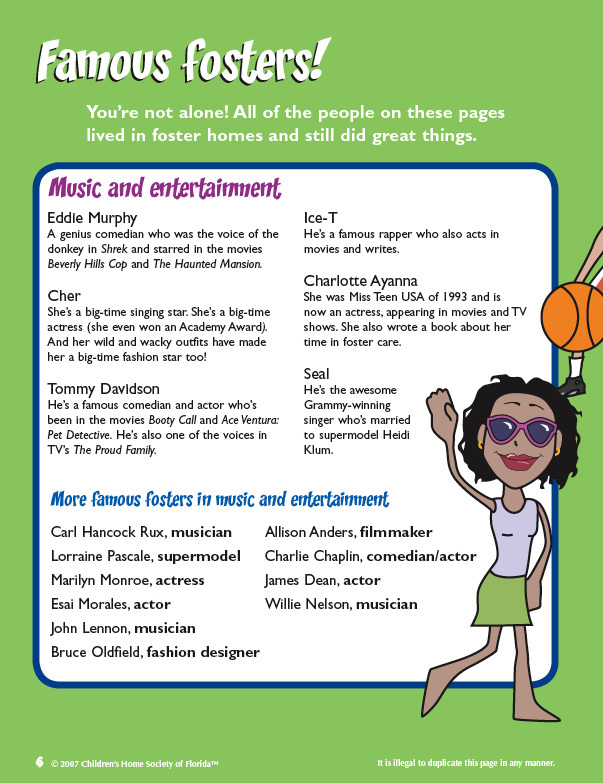 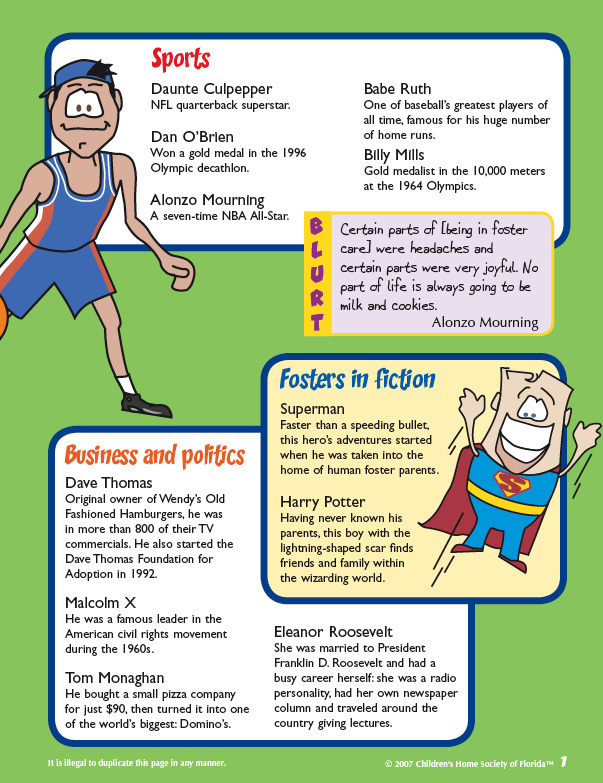 "Famous fosters" are featured to help kids recognize their potential for a bright future.